Suggestion to Cpaf or Montreal golf directors: Instead of having 2 age groups (+18 & + 50) & sub divided into handicap groups with all the men playing from the same tees; why not just have various handicap groups with say, under 15 playing from blue tees & over 15 play from whites (regardless of age). Handicaps are based on golf ability, not age. Similar for the women. Scratch golfers play from blacks. It was not fun for an 18 handicap player to constantly have to hit fairway metals or hybrids into par 4's. This should also speed pace of play (although, this year was not as bad as others). On a good note the food & drinks supplied were a nice surprise! Any player over 60 should be allowed to play up. Two guys in my group had a tough time reaching the greens on the long par 4s and the par 5s in regulation (GIR). As you know, the handicap is an index and is derived by applying the score, tees played (which should have correct slope and rating). In the case of this competition, the index should be multiplied by the slope of the course we are playing divided by 113. That, then, is the correct handicap to be used in competition..But that did not happen and the courses were very long, thus older people or people that normally play closer tees were hurt..
On day 3 at Evergreen, a guy in the group behind me played off the ladies tees regularly. I assumed it was agreed practice....? Suggestion to Cpaf or Montreal golf directors: Instead of having 2 age groups (+18 & + 50) & sub divided into handicap groups with all the men playing from the same tees; why not just have various handicap groups with say, under 15 playing from blue tees & over 15 play from whites (regardless of age). Handicaps are based on golf ability, not age. Similar for the women. Scratch golfers play from blacks. It was not fun for an 18 handicap player to constantly have to hit fairway metals or hybrids into par 4's. This should also speed pace of play (although, this year was not as bad as others). Disappointed at Landsdowne today. Hosting an event which delayed tee times by half an hour prior to WPFG golf, then after finishing, no bar or restaurant open?? Box lunch & free water was a nice touch. Thanks to all the volunteers for their help. Just wondering if all the rain & flooding Fairfax had has affected the condition of the 3 courses? Hope it isn't a repeat of NYC. Still wondering why curling (an iconic Canadian game) is not an event in Montreal? Just wondering why people are so interested in finding out how many teams/participants are in a specific age group/event? I thought this event was to bring together brothers & sisters in friendly competition. Does it matter how many people you'll be competing against? 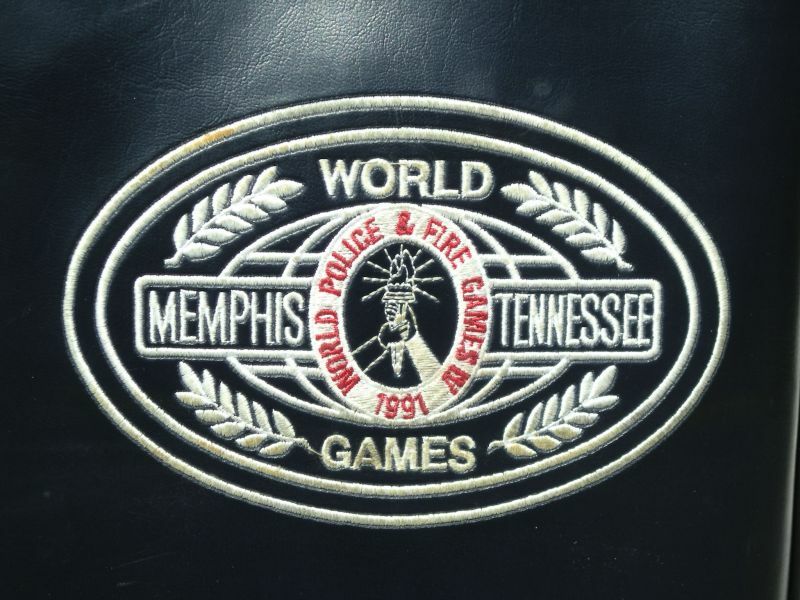 Having competed in 11 other WPFG I have never wondered how many others I would be playing against. Even if I had to be in a younger age group, who cares. It's all about meeting new people from around the world, making new friendships and seeing old buddies! Just the way I see it. Another thing. All rules and regulations are plainly stated in the registration book. People, please read it! Pretty much everything you need to know about your sport is in it. Just wondering why people are so interested in finding out how many teams/participants are in a specific age group/event? I thought this event was to bring together brothers & sisters in friendly competition. Does it matter how many people you'll be competing against? Having competed in 11 other WPFG I have never wondered how many others I would be playing against. Even if I had to be in a younger age group, who cares. It's all about meeting new people from around the world, making new...Just wondering why people are so interested in finding out how many teams/participants are in a specific age group/event? I thought this event was to bring together brothers & sisters in friendly competition. Does it matter how many people you'll be competing against? Having competed in 11 other WPFG I have never wondered how many others I would be playing against. Even if I had to be in a younger age group, who cares. It's all about meeting new people from around the world, making new friendships and seeing old buddies! Just the way I see it. If someone wants to know how many people they will be competing against then who cares what you do or your preference is. No one cares how many games you've competed in niether. For that matter I hope it's against me. For bracketed sport events, the number of teams or persons affects the length of time from start of play to playoffs. If you have 40 teams and 4 courts then the number of days will be longer than if you have 10 courts available. Most people think in terms of their teams needs, not how to best space games for fan enjoyment. These are working people, not professional athletes and sounds like most have to get back to their jobs. Curling gear stowed away after one of my best curling seasons on record. Provincial appearance, District win, 2 runner-up bonspiels finishes and 3-peat of Hamilton Victoria Club Championship! First tee time of the year booked for Tue, golfing in Florida in May, 23rd annual golf weekend with the boys set for just before WPFG & 4 day golf trip planned to Whistling Straits in WS for Sep!! Curling gear stowed away after one of my best curling seasons on record. Provincial appearance, District win, 2 runner-up bonspiels finishes and 3-peat of Hamilton Victoria Club Championship! First tee time of the year booked for Tue, golfing in Florida in May, 23rd annual golf weekend with the boys set for just before WPFG & 4 day golf trip planned to Whistling Straits in WS for Sep!! Less than 3 months to go before I get to see all my WPFG friends from past games & looking forward to making new ones! Still upset no curling event in WPFG 2017 held in Canada! Feeling better today after agreeing to go on a buddy's golf trip to Whistling Straits/Black Wolf Run in Sep for 5 days/6 rounds of golf just 2 weeks after the PGA Championship is being played there! Wishing all the organizer's of the WPFG 2015 Merry Christmas, Happy New Year & see everyone in 6 months! Qualified for Masters Provincial Curling Championships! Still can't figure out why curling is not an event in the WPFG 2017 Montreal??? This athlete is ready to be interviewed! Have participated in 11 previous WPFG! Hey Mike! Can you email steve.winter@fairfax2015.com and let him know? Would be great to have you on the list! Back from Hawaii, back on the golf course & preparing for the upcoming curling season. Still upset no curling 2017 WPFG Montreal! 2 million curlers in the world, over 1.3 million in Canada & 15,000 in the US. Although invented in Scotland, curling is truly a Canadian sport! Retired from Canada Border Service Agency. Have competed in 11 previous WPFG (5 in golf, 3 in tennis & 3 curling). Won Bronze Medal in curling Vancouver 2009. Enjoy travel, sports, meeting people & good food.